Since noticing the changes to WW.com, I periodically reached out to people in the Investor Relations and legal counsel offices at Weight Watchers via phone and email to ask if the publicly traded company acquired WW.com. I did not hear a response from company representatives. My guess is that the company did not respond because it wanted to keep this rebranding as private as possible in advance of the news. 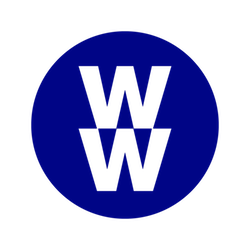 Kudos to Weight Watchers for acquiring WW.com before rebranding. Owning WW.com will surely be helpful to the company in its rebranding effort. Because it is very likely that WW.com was acquired for seven figures, I will continue to check Weight Watchers SEC filings to see if there are any mentions about the price to acquire WW.com. I understand acquiring WW as being the umbrella brand that includes Weight Watchers, but I don’t understand the “rebrand”. Weight Watchers has goodwill and almost everyone understands what the service/product offers consumers. If they start running commercials for WW, without mentioning Weight Watchers, than it will be confusing to consumers. They need to rethink strategy of “changing name” to WW imo. Weight Watchers are transitioning into a health & wellness brand. The core philosophy has changed in that aspect, and the business intends to build a holistic goal approach rather than looking at the weight scales alone, seemingly because this fad had peaked and the business had been going downhill for a few years before changing direction. KFC did similar when it moved from the name Kentucky Fried Chicken to KFC. WW is a confusing name on the internets. – W W DOT COM! – Yeah, I got W W W and COM, but whats the domain name?